In (1) Pearl Petroleum (2) Dana Gas PJSC (3) Crescent Petroleum Company International Limited v The Kurdistan Regional Government of Iraq [DIFC ARB /003/2017], the DIFC Courts considered sovereign immunity and service under the Riyadh Convention in proceedings for the enforcement of London-seated LCIA partial final awards claiming over US$2 billion. In 2007, Crescent Petroleum, the oldest privately-owned oil and gas company in the Middle East, agreed with Dana Gas, one the leading publicly-listed natural gas companies in the region, to create a joint venture called Pearl Petroleum (together, “the Consortium”). The Consortium entered into an agreement with the Kurdistan Regional Government (“KRG”) for the development of the Khor Mor and Chemchemal petrochemical fields in the Kurdistan region of Iraq. The KRG were and remain engaged in a political dispute with the Federal Government of Iraq, meaning that the Consortium were unable to export gas produced by the developed fields. As a result, the KRG became liable under its contract with the Consortium to pay a minimum guaranteed price, but it failed to make the required payments in full. In 2009, Crescent and Dana each sold a minority part of their shareholding in Pearl to two major European energy companies. The KRG demanded payment of part of the sums paid by the buyers, which the sellers refused, causing the KRG to evict the Consortium from the Chemchemal field at gun point. The Consortium continued to manufacture gas and liquid petroleum products at Khor Mor. In 2013, the Consortium submitted a request for arbitration to the London Court of International Arbitration concerning allegations of breaches of contract by the KRG. Eminent arbitrators were appointed, including two former judges of the UK House of Lords, the predecessor of the Supreme Court (“the Tribunal”). The KRG dragged out the subsequent arbitration, including strongly resisting the Consortium’s application for, and subsequent enforcement of, an interim order to pay $100m USD to the Consortium after the KRG cut off payments for continuing supplies of gas to one of the claimants thereby exposing it to the risk of insolvent collapse before the arbitration could continue. In July 2015 the Tribunal issued its first partial final award on the KRG’s liability to the Consortium, and in November 2015 and January 2017 issued its second and third partial final awards, which covered quantum. Taken together, the awards ordered the KRG to pay over $2bn to the Consortium as compensation for the KRG’s failures to pay for the gas and other products produced. Consequent enforcement proceedings in England and in the United States District Court of Columbia were stalled by the KRG, who refused to accept service of proceedings through its appointed lawyers in the arbitration. In May 2017, the Consortium’s ex parte application to recognise and enforce the second and third partial final awards was granted by Justice Sir Jeremy Cooke in the DIFC Courts (“the May order”). He also permitted alternative service of the English enforcement proceedings and other documents on the KRG’s London solicitors. The KRG subsequently applied for the May order and for the enforcement proceedings to be set aside on the ground that the DIFC Courts had no jurisdiction to make such orders. The Consortium cross-applied for an order for disclosure, which the KRG said was invalidly served. Cooke J heard the applications on 8-9 August, and judgment was handed down on 20 August. The contract between the Consortium and the KRG was governed by English law and provided explicitly that “the KRG waives on its own behalf and that of [The Kurdistan Region of Iraq] any claim to immunity for itself and its assets”. The KRG argued that the questions of whether sovereign immunity existed as a doctrine in the UAE and the DIFC, the scope of that immunity and whether the KRG had waived its immunity, were not ones for the DIFC Courts but were a matter for the UAE Federal government. The KRG relied on jurisprudence from the Court of Final Appeal of the Hong Kong Special Administrative Region, where the Court had found that a defence of sovereign immunity raised by the Democratic Republic of the Congo was a matter of public policy and thus unjusticiable by the common law courts, and instead an issue reserved to the Chinese National People’s Congress. 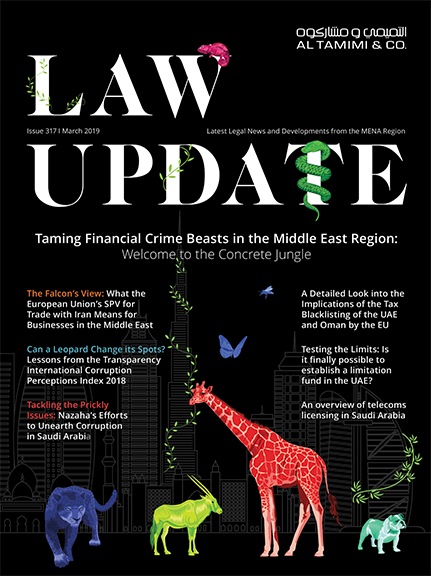 The Consortium contended that there was no general law of state immunity under UAE law, confirmed by the Court of Cassation in a case involving the Central Bank of Sudan, and that the UAE courts were obliged to exercise their jurisdiction if there was no express exclusion of that jurisdiction. The Judge dismissed the KRG’s arguments. He found the KRG had waived its sovereign immunity in its 2007 agreement with the Consortium. Whilst the UAE’s recognition of other states was a matter of foreign policy which the DIFC Courts could not rule on, construing the KRG’s waiver of immunity was a question of law and not public policy. As a result, it was “inherent” in the arbitration agreement between the Consortium and the KRG contained within the overall contract that the KRG waived any claim to immunity from the English High Court, who had supervisory powers over the LCIA arbitration. Because the KRG had agreed to submit to arbitration, it had agreed to submit to the mechanisms that made the arbitration effective. The Judge rejected the comparison with Hong Kong, whose Basic Law, which reserved to the Chinese government all “acts of state” including matters pertaining to defence and foreign affairs, had no analogue in the DIFC. In his May order, the Judge had granted an order for alternative service of the order on the KRG. In reply, the KRG said that it should be served via diplomatic channels as stipulated under the Riyadh Convention. The Judge found that service in accordance with the Riyadh Convention was mandatory under UAE law. The Convention covered inter alia requests between signatory states for evidence on commission, for recognition and enforcement of judgments in civil, commercial, administrative and personal status actions. At Article 6, it provided for the international service, transmission or notification of judicial and other documents or legal and non-legal documents. Article 8 set out the enclosures to accompany a request for notification and the information to be given when doing so. Article 10 of the Convention provided that “no request for the publication or notification may be denied in accordance with the provisions of this agreement except where the contracting party receiving such request considers that it may be detrimental to its sovereignty or public order therein.” It applied not only to the state receiving a request, but, said the Judge, “generally where the requested subject is a person resident in the state in question”. The Consortium protested that the KRG had a “track record” of “stalling and obstructing the progress of the arbitration”. They said the KRG would purport to exercise its rights under Article 10 if the Courts in Erbil were sent any request for service under the Convention, and in any event, those courts were under the “influence and control” of the KRG and would refuse to implement the request. In these circumstances, it was argued that the Convention was permissive, not mandatory, in providing for service or notification by the means set out. If the Convention was mandatory it did not set out the documents which had to be served or notified in the prescribed manner, which was a matter for the DIFC Court. There had to be a way to enforce the two partial final awards if the KRG had no sovereign immunity from suit: it could not be allowed to “stymie service or notification under the Riyadh Convention by effectively claiming sovereign immunity unjustifiably”. The Judge considered a number of common law precedents on state immunity and service, and the English principle that the court could order alternative service other than in accordance with the terms of a treaty in exceptional circumstances. However, a crucial difference between the position in England and the DIFC was that international conventions “achieve the force of law in the UAE by ratification and are deemed to be part of the applicable domestic laws of the state, so that UAE judges must give effect to them” including in connection with the enforcement and recognition of foreign arbitration awards. UAE civil and commercial laws are not applicable in the DIFC, but it remains bound by the terms of the Treaties which form part of the law of the UAE. As such, service of DIFC proceedings had to be in full accord with the Riyadh Convention. The Judge concluded that his order for the enforcement and recognition of the second and third London partial final awards stood, but the order had to be validly served in accordance with the Riyadh Convention. The ex parte orders for alternative service of the enforcement order and the Consortium’s application for disclosure were set aside. Following the handing down of the DIFC Courts’ judgment, the parties published a joint press release at the end of August saying that they had agreed to “fully and finally settle all their differences” with the KRG, and that the LCIA arbitration and related court proceedings would end. Amongst other terms, the KRG has agreed to pay $600 million USD immediately with a further $400 million USD to be “dedicated for investment” in the two gas fields. The balance of the sums awarded by the Tribunal – over a further $1.2 billion USD – has been “reclassified” as outstanding cost recoverable by the Consortium from future revenues. The DIFC Courts’ decision shows, firstly, the importance of valid service under all material rules, domestic and international. It also demonstrates a bullish attitude on the part of the DIFC Courts to the enforcement of awards and judgments against sovereign states, providing access to justice for claimants seeking redress.